With cases of child support on the rise, it is vital that you have an upper hand in terms of knowing how much you are expected to contribute before you appear before the judge. 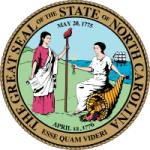 You can use the online calculator provided by the child support services in North Carolina to compute for child support. It is also useful for the parent receiving child support. Step 1: Visit this link. Step 2: Choose as shown below depending on the type of custody. Step 3: Enter the details as required for both the plaintiff and defendant and then click the compute button as shown below.